through these links please visit the links on this page, in addition you will get to see very beautiful vintage signs. 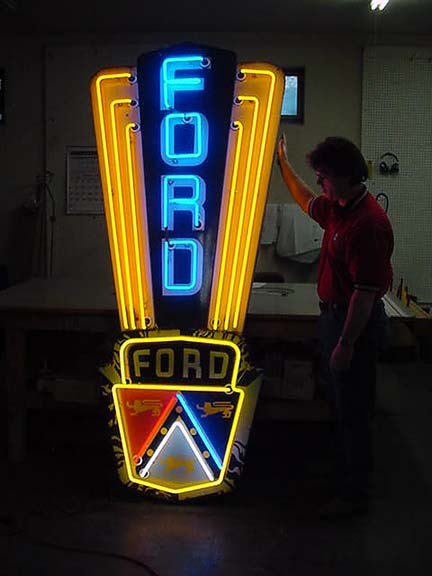 Roadrelics and Oldestneon buys Americana and Vintage advertising from all parts of the U.S.A. I sell the signs that are very durable. We can use these signs even outdoor. These are not cheap tin. It is perfect to decorate your home, office, garage, den, or “man-cave.” This sign is a cut out design. The sign is everything you see in red.